Eco-novice shares some Etsy favorites. This post was partly inspired by Greenmom's Everything I Need To Know I Learned from Laura Ingalls. I love Etsy. Probably a little too much. I probably spend too much time and too much money there. Maybe I buy some things I don't completely need, and that's not exactly green. But, in general, I am very thankful to Etsy for making possible many of my green changes. Here are a few stores I've purchased from recently. 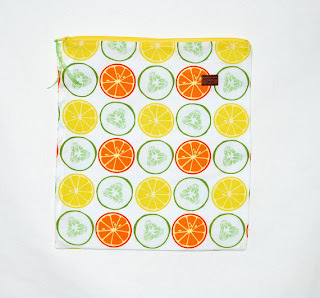 I first reviewed her products as part of an Etsy reusable bag round-up and review. I recently purchased more bags from this shop in the gallon-size (see photo above). I am so grateful to have an awesome replacement for gallon-size disposable ziploc bags. I love the snack and sandwich sizes too. Since I'm a very beginning sewer, I could not make these bags (cotton exterior with nylon interior, zipper closure and all hidden seams) if I wanted to. My mom, who can sew, was happy to shell out the money to buy a few of these bags. 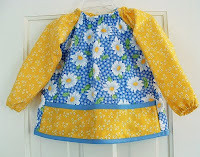 I will say this about Etsy: lusting over so many of the products for sale there is partly what inspired me to learn to sew (with two small children and very slow progress). Maybe in 20 years I'll be able to DIY some of the stuff I find there. When my first child started solids, I searched in vain for a non-infant bib made of all-natural materials. When my second child became the messiest eater ever, and regularly tore off her Velcro-closure bib before staining her shirt, it finally dawned on me to consult Etsy. I found this store which makes 100% cotton bibs with long sleeves, pocket to catch crumbs, cotton terry behind the bodice for extra absorbency, and an adjustable tie closure. Just the genius kind of bib I might have designed myself. I reviewed the long-sleeve bib in June and have since special ordered a short-sleeve bib and several sleeveless bibs. I love putting these plastic-free bibs on my kiddos. 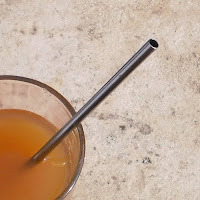 Now here is a product I will never have the equipment or skill to make on my own: stainless steel straws. You can find mass-produced stainless steel straws, but you can't find them in an assortment of lengths and diameters. Like so many Etsy shops, The Mulled Mind offers multiple options and takes custom orders. I first reviewed her products a few months ago and recently bought a few more in the regular and fatter smoothie diameter. No more plastic straws at my house! So I know some of you are years into the no 'poo business. I am moving in that direction in baby steps. After examining my plastic consumption several months ago, I decided I wanted to switch from liquid shampoo bottled in plastic to shampoo bars. 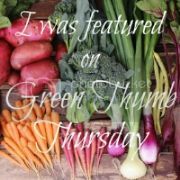 I chose to purchase from Dress Green because I liked the simple ingredients used and the store had lots and lots of positive reviews. 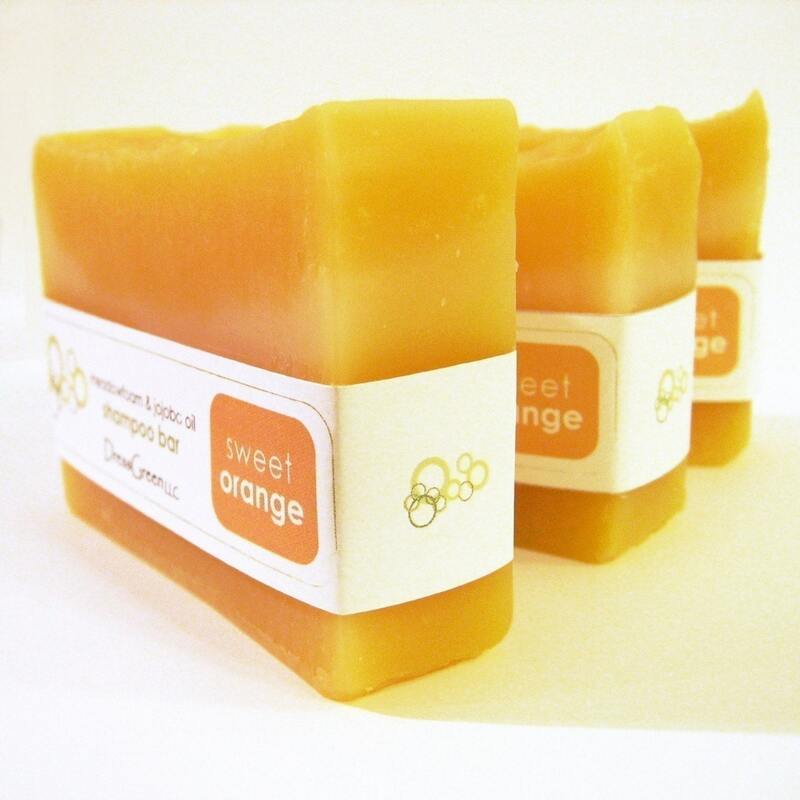 Now, over a month later, my husband and I are both very happy with our sweet orange shampoo bar. I honestly thought the transition would be a bit bumpier. I've noticed minimal differences between using my Avalon Organics bottled shampoo and this shampoo bar. I have noticed that I can wash my hair a bit less often (every 1.5 to 2 weeks instead of once a week). Currently I'm experimenting with no conditioner, but I may also look into purchasing some type of conditioner bar from an Etsy store or other small business. Do you use Etsy? Has it facilitated any green changes for you? Disclosure: I run an ad for Celeste Blake Designs on my blog Eco-novice in exchange for store credit. I don't receive any cut of sales. I have no affiliation with any of the other Etsy stores mentioned in this post. Whether you buy them from Etsy or elsewhere, I highly recommend switching to reusable straws, esp. if you are a frequent straw user! I don't know what plastic straws are made of, but I'm pretty sure no one recycles them. Lots of folks love glass b/c it's easy to see if it's clean, but since my kids love to bite on their straws, I just wasn't willing to go that route. I really only go on Etsy when I'm looking for something specific, and even then, it can be far too time-consuming and tempting. But I am so happy it exists! I used to have to impose upon family/friends that could sew -- people who really don't have the time to be fulfilling my sewing requests -- when I wanted something handmade b/c I couldn't find what I wanted. Now I just hire someone on Etsy!